Vegetarians rejoice! 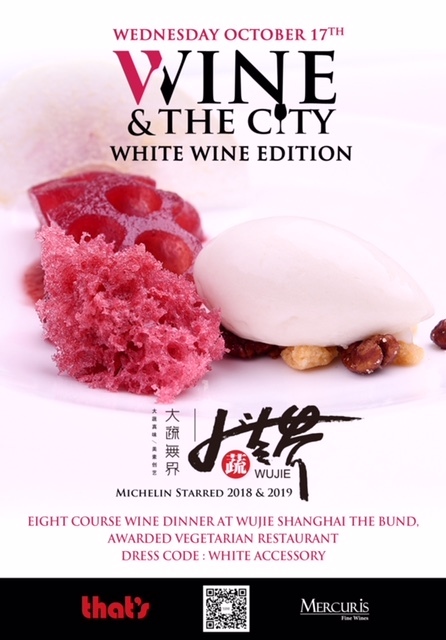 Wine & The City (W&TC) will be hosting an indulgent night filled with the finest white wines and vegetarian eats at the Michelin starred restaurant Wujie (The Bund) on October 17. Guests will be served a gourmet 8-course feast off of Wujie’s vegetarian Clouds Autumn menu. Better yet, all dishes will be paired with carefully selected white wines. W&TC is a concept dinner with a rotating roaster of wines, eats and environments. Dinners are meant to be fun, social, casual and educational. This event isn't just for vegetarians. All you carnivores out there will be pleasantly surprised by the amazing possibilities and flavors a meat-free dinner can offer. We swear you won’t even miss meat! Diners can expect a range of delicious and innovative dishes. Think Avocado Roll with 9-year Grown Lanzhou Lily Bulb Mash, Rosemary Salt-baked Yunnan Porcini and Ginkgo with Porcini Jus, Hunan-inspired Pizza with Wild Rice Stem and so much more. Tickets to W&TC’s special dinner at Wujie are on sale now. 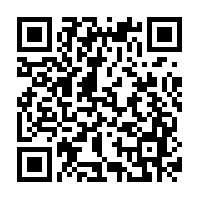 Only 25 guests will be welcomed to the exclusive food and wine event, so get your tickets while you can. Grab a date (or fly solo!) and toast with new friends.